Massage away the stress. 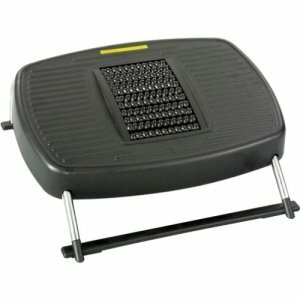 This Stress Buster massaging footrest features alternating rollers for a relaxing foot massage. The adjustable tilt encourages frequent position changes to help reduce leg pressure and improve circulation. Black with chrome finish frame.